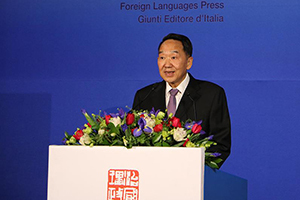 A book of Xi Jinping's discourses on promoting the building of a community with a shared future for humanity has been published in English by the Central Compilation and Translation Press. A series of books on Xi Jinping Thought on Socialism with Chinese Characteristics for a New Era has been published by the China Social Sciences Press. 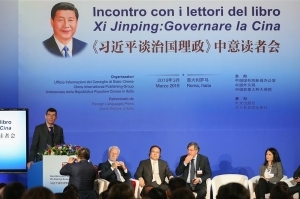 Readers at a seminar on "Xi Jinping: The Governance of China" held Wednesday said the book impressed them and facilitated a better understanding of the Asian country. 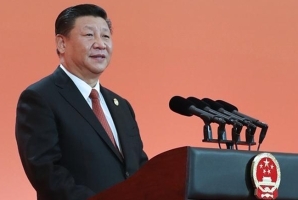 Translating the book "Xi Jinping: The Governance of China" into Urdu offered Farrukh Sohail Goindi a rare glimpse into the thoughts of the Chinese president. 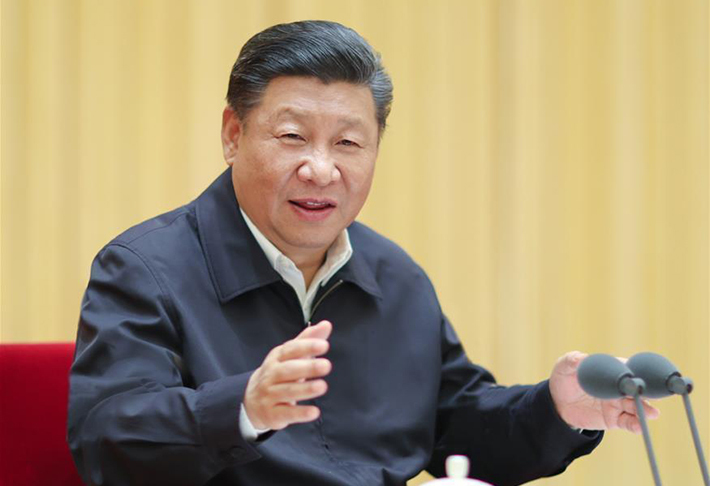 An article by President Xi Jinping on deepening the reform of the national supervision system will be carried by the fifth issue of the Qiushi Journal, to be published Friday. 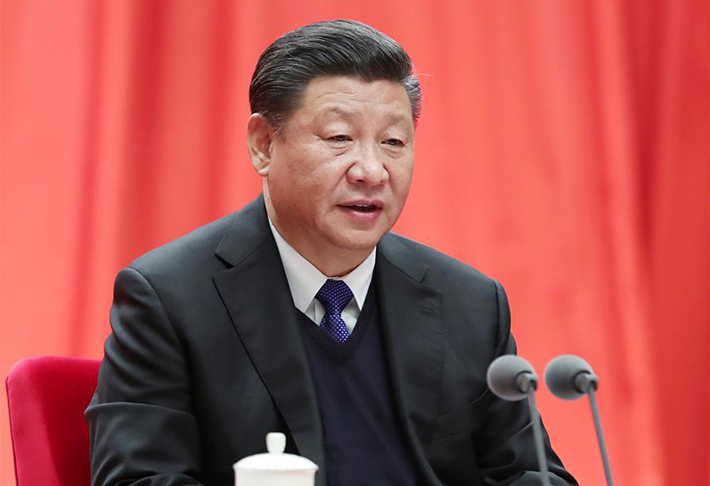 President Xi Jinping on Monday called for efforts to create a favorable legal environment for China's reform, development and stability. 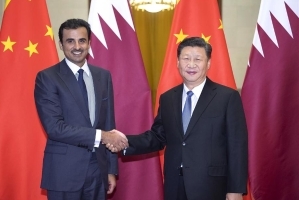 Chinese President Xi Jinping met with Qatari Emir Sheikh Tamim Bin Hamad Al-Thani Thursday in Beijing, and they agreed to deepen the bilateral strategic partnership featuring mutual respect, equality and mutual benefit, and common development. An article by President Xi Jinping on building an ecological civilization will be carried in the third issue of Qiushi Journal this year, to be published Friday. 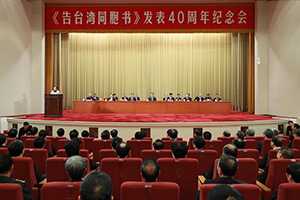 President Xi Jinping's speech at a gathering to commemorate the 40th anniversary of issuing Message to Compatriots in Taiwan has been published. 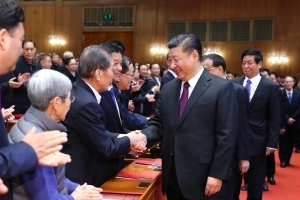 Xi Jinping, general secretary of the Communist Party of China (CPC) Central Committee, stressed consistent efforts to reform the national supervisory system and improve law-based and procedure-based anti-graft work. 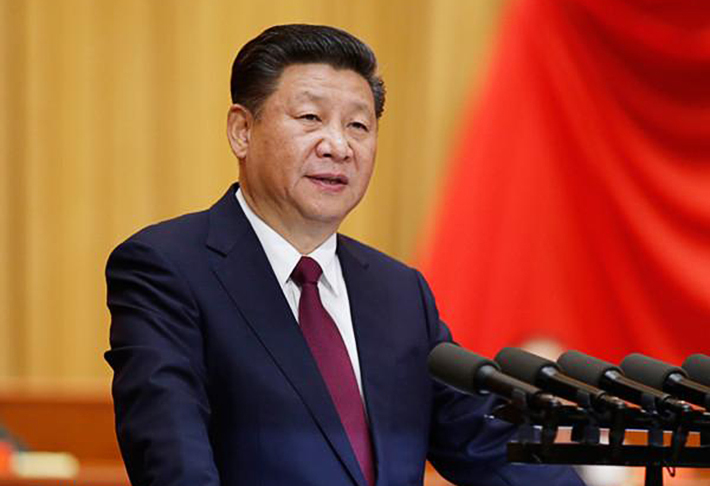 President Xi Jinping sent a congratulatory letter to the 3rd Understanding China Conference which opened in Beijing on Sunday. 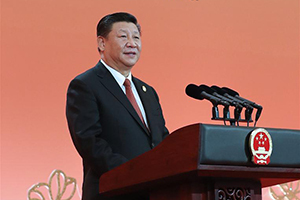 A compilation of remarks by President Xi Jinping on the Belt and Road Initiative (BRI) over the past five years has been published by the Central Party Literature Press. 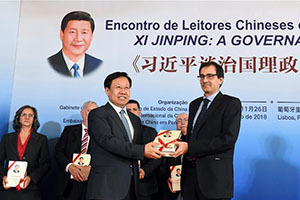 A readers' seminar on the book "Xi Jinping: The Governance of China" has been held in Lisbon just days before Chinese President Xi Jinping's scheduled state visit to Portugal. 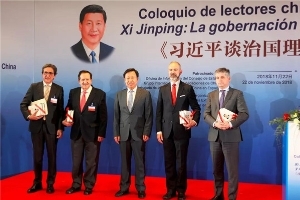 The China-Spain readers' seminar on the book "Xi Jinping: The Governance of China" was held on Thursday in Madrid, Spain, days before the scheduled state visit to the country by Chinese President Xi Jinping. 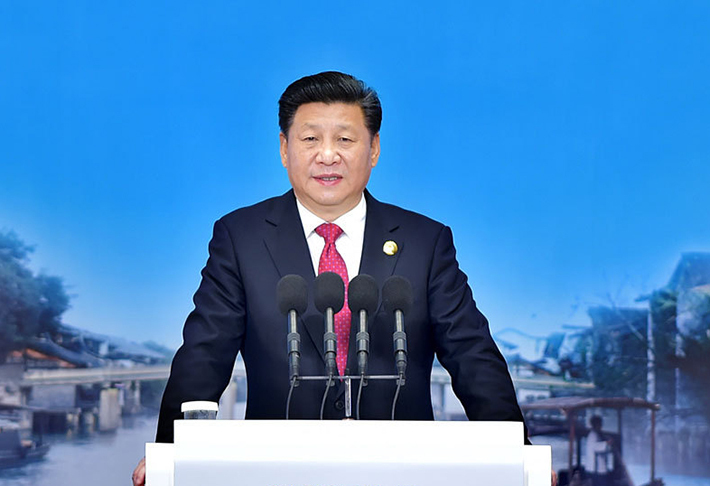 President Xi Jinping's speech at the opening ceremony of the first China International Import Expo (CIIE) on Nov. 5 has been published by the People's Publishing House. 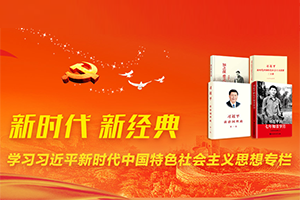 A total of 111 e-books of Xi Jinping Thought on Socialism with Chinese Characteristics for a New Era have been launched on five e-reading platforms, according to the publishers. 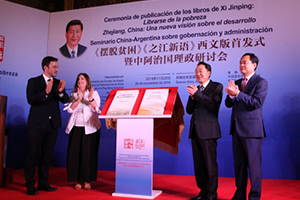 A showcase specially devoted to the translated versions of President Xi Jinping's works, including the two volumes of "Xi Jinping: The Governance of China," is attracting readers' attention during the 2018 Shanghai Book Fair. 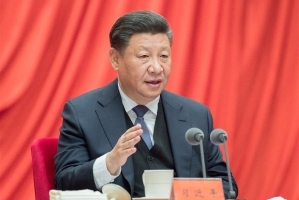 A book of extracts from the discourses on poverty alleviation by Xi Jinping, general secretary of the Communist Party of China (CPC) Central Committee, has been published by the Central Party Literature Press. 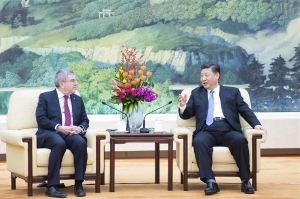 The China-UAE readers' seminar on "Xi Jinping: The Governance of China," as well as the Chinese Books Exhibition Week, was held in Abu Dhabi on July 15. 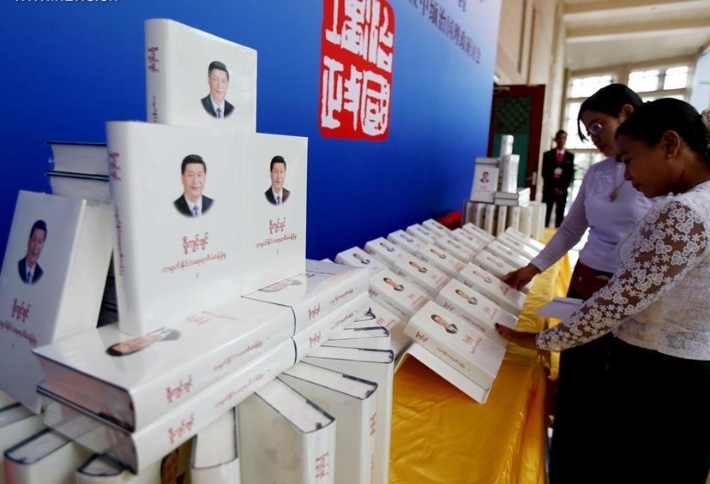 The Myanmar edition of the first volume of "Xi Jinping: The Governance of China" was launched in Nay Pyi Taw on Monday. 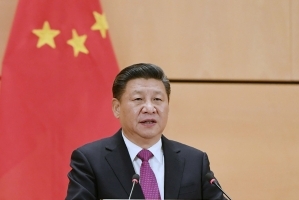 The electronic version of the first volume of Chinese President Xi Jinping's book "Xi Jinping: The Governance of China", in both Chinese and English, has been launched on four online platforms on July 6. 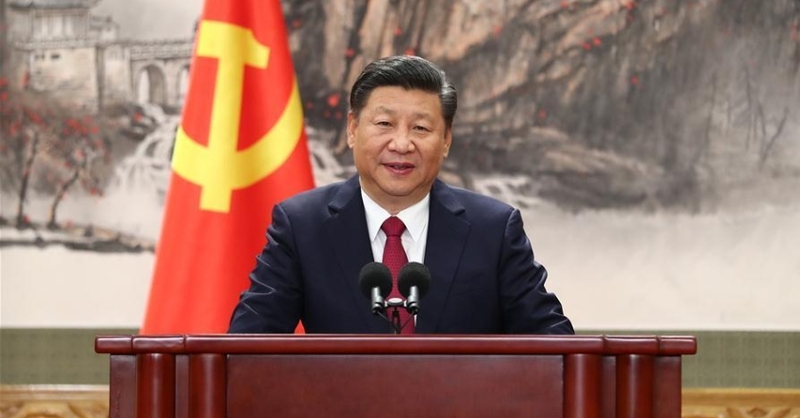 Chinese President Xi Jinping's speech on the development of the Yangtze River economic belt has been published by the People's Publishing House. 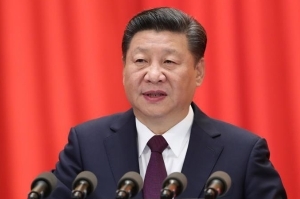 A book on Xi Jinping's journalistic thought has been published by the People's Publishing House and the Xuexi Publishing House, the publishers said Thursday.